It’s this time of the year again and, let me just say, this one is truly special. 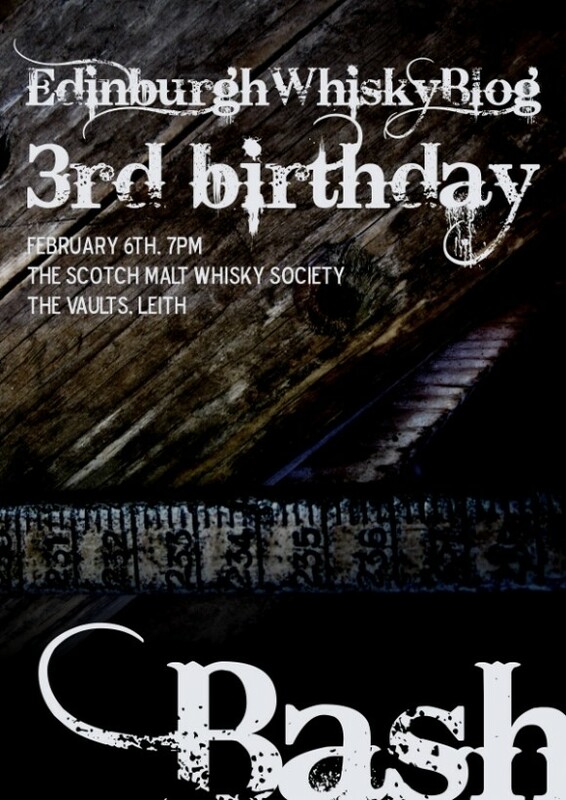 Not only is the blog turning 3, which in the whisky world as you well know is the legal drinking age, but also we are celebrating the arrival of our brand new super duper fancy website. It was supposed to be a surprise for the attendees but the site will have to go live a few days prior to the bash to allow us to iron out the details and all that. This entry was posted	on Wednesday, January 25th, 2012 at 2:08 pm	and is filed under Events. You can follow any responses to this entry through the RSS 2.0 feed. Responses are currently closed, but you can trackback from your own site.